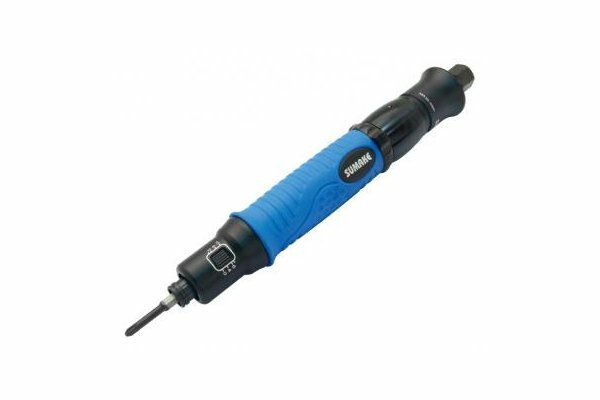 Introducing the *NEW* range of Push Start Pneumatic Screwdrivers from Sumake. These Air Screwdrivers have replaced the old Sumake FPF and CP Range of Pneumatic Screwdrivers. A New experience of less noise and easy maintenance. 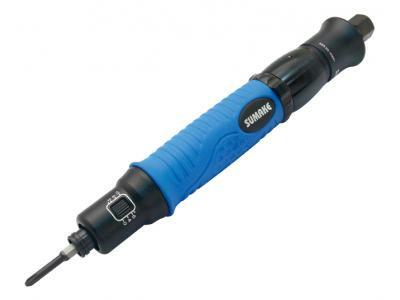 Torque Cover: To avoid the adjustment by operator and easy to mark the torque through the window. External Torque Adjustment Ring Turn right to increase and left to decrease. One pulse with ±3% low deviation (Pat. No. 149380), MSC cross-path patent clutch system. One-handed operation: Turn and change the rotary direction. Speediness: Operator can change the bit rapidly by pull the bit sleeve. 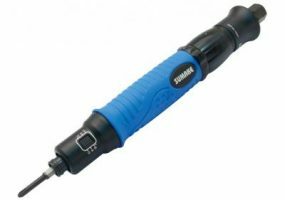 Torque Rings System: SUMAKE Color Rings give you an easily visible torque marking system at a glance. Choice the color for each torque level used on your assemble line. Comfort: Uniquely sharped soft resin for ergonomic grip " Top Wave" ergonomic design, best balance and easy to grip. The grip made thermophastic elastomer, the best material so far, with good touch and anti-glossy feature.